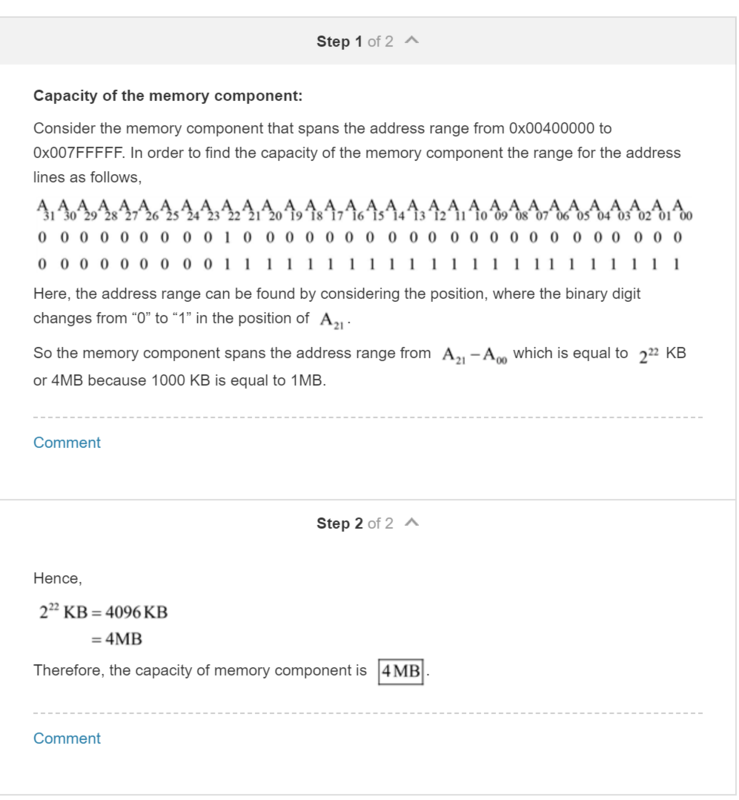 A memory component spans the address range 0x00400000 to 0x007FFFFF, what is its capacity? How to understand standard answer? The "standard answer" is based on observing that there are 22 bits that can vary when addressing this memory — the other 10 bits are constant, regardless of the address. 22 bits can represent 222 different values (addresses), so the memory has 4194304 unique addresses. If each address represents a byte (something not specified in the actual question!) then it has a capacity of 4 MB. It would be more correct to say that it has 4 M words, leaving the word size unspecified. How does a memory map of a 1K EEPROM look like?